I have a powerful memory of my mother coming into my grandmother's back bedroom where I was playing one afternoon. She held a thick book in her hands. The book's jacket was gone, leaving the brown cover with a darker brown scrawl pressed in it. I realized later this was the imprint of Shel Silverstein's signature. I've always thought it was impressive that his signature was pressed into the cover of a book. Mom told me she wanted to share a book with me--a book of poetry. She stretched out beside me on the king-size bed and began reading some of the poems. I vividly remember her interpretation of "Sick." 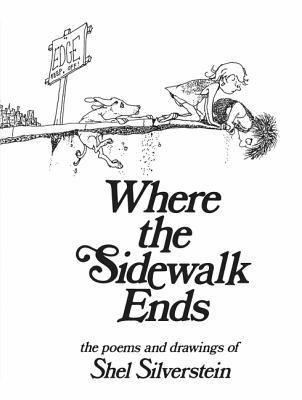 Not only did I fall in love with Shel Silverstein's poetry, but I discovered a love of poetry in general. The poetry I write is terrible. I simply do not think like a poet. I wish I did. Imagine being able to distill a complex emotion or thought into the confines of a poem. Shel Silverstein and his poetry have fared me well. I've bonded with friends over our mutual love for his poems. I've performed his poems in poetry competitions. I was reading to this group of first or second graders, and I was having a blast. I was reading with emotion and attitude and truly giving them a show when, from the front row, I hear one girl say to her friend, "She's crazy." I don't know how I managed to stop myself from bursting out laughing when I heard that. Internally, I certainly was. I can only hope she delighted in my "crazy" performance and maybe even remembers it still. But she was correct. I am crazy about poetry, and I love, love, love to share those feelings with others. Just as my mother did with me.